22 NTR juniors jumped off their bikes and headed to click n climb in Cramlington for an evening of fun. They had a party which consisted of many sweet items to keep them happy and were each presented with a certificate and medal in recognition of their cycling achievements and skills. After that they hit the climbing walls and there were some pretty impressive skills shown. Bravery and core strength to name but 2 of the skills transferred from their cycle coaching to the wall. The younger members and siblings had great fun too exploring the soft play area. The Juniors were all very respectful and polite, doing the club proud. 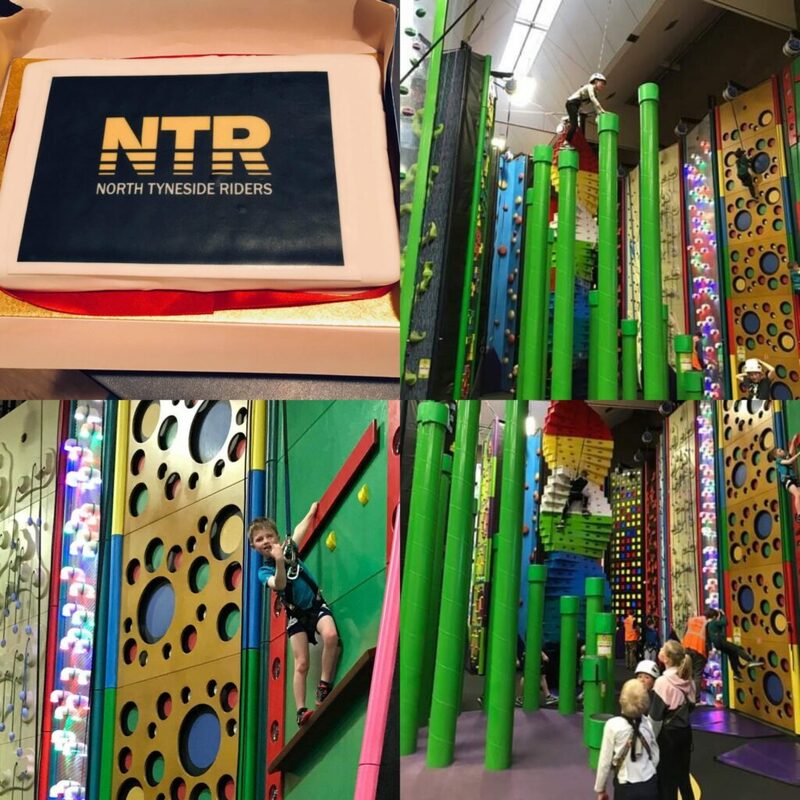 Most importantly though everyone had a really, really good time, leaving with big smiles on their faces after eating NTR cake and with a bag of sweets for the way home. The parents enjoyed seeing the juniors have some unstructured fun and chatting to each other without their teeth chattering in the cold! !